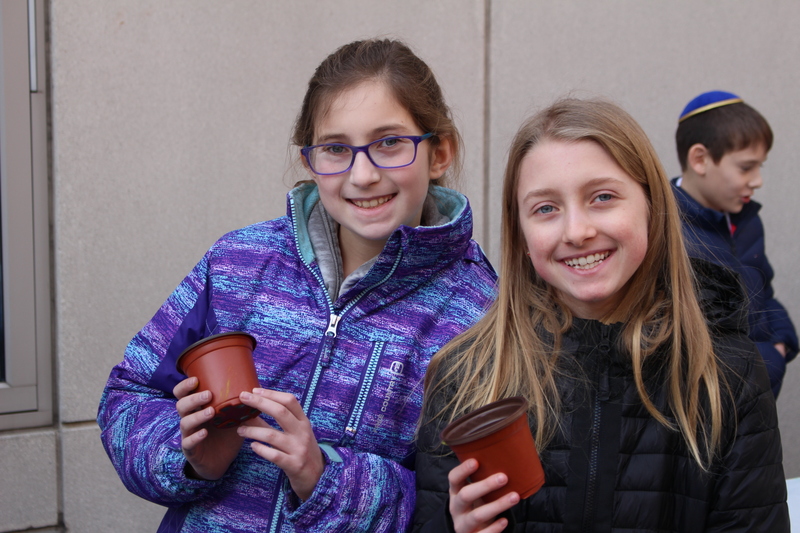 Fifth Graders Look Forward to Tu B'Shevat By Planting Seeds! Tu B'Shevat Higiya Chag La'ilanot! Despite the cold weather, fifth graders enjoyed getting into the spirit of Tu B'Shevat! Students gathered on the terrace to sing songs about the upcoming holiday, and participate in environment-themed art project! Fifth graders painted planters, while planting beans and squash seeds (straight from the a butternut squash). Students will tend to these plants throughout the coming weeks, while they keep in mind that it will soon be springtime in Israel, a special time to celebrate the blooming of the trees!